Absolute Beauty as Master plan. 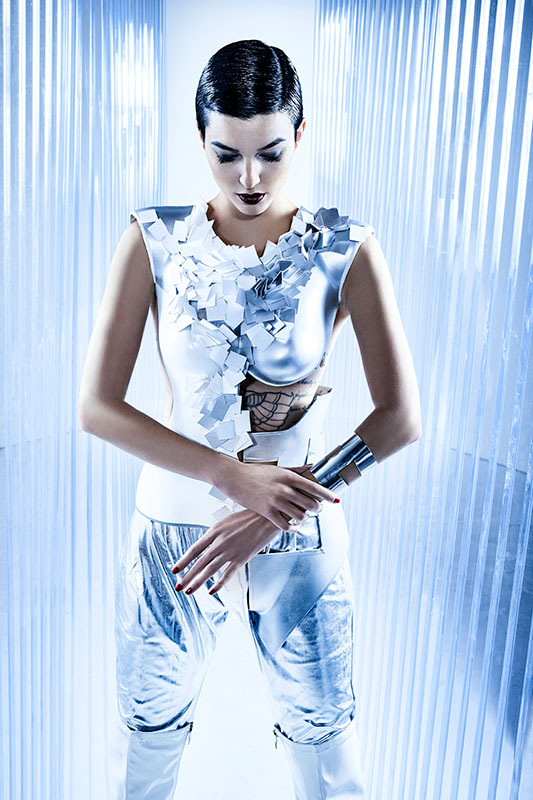 Beauty Cyber Sapiens are machine people in the fashion universe of the future. The collection “Cyborg” by kpO stages a strongly symbolic journey through time and presents trendsetting styles with eccentric, minimalist aesthetic. The “Cyborg” Looks have razor-sharp contours, are clear, technically highly precise and often feature hybrid structures. The hair colours are cool and shiny metallic: ice-blond, steel-grey, graphite-black. In the digital age of individualism and self-optimisation, we change our mind every day on who we want to be. Self-determined, strong and fearless, Cyber-Beauties defy the unstable world and navigate safely through reality and fiction.